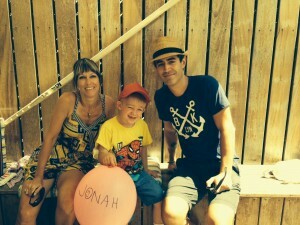 Jonah was born July 30th, 2008, happy and healthy. Jeremy and I could not take our eyes off of our remarkable son. He was our first child and his birth changed our lives. Jeremy remarked to his father that it felt like his heart had doubled in size, making room to hold all the love he felt for Jonah. At Jonah’s first-year well visit our astute pediatrician, Dr. Hai Cao, suggested we get Jonah an MRI. Dr. Cao noted that the size of Jonah’s head was “off the charts”. 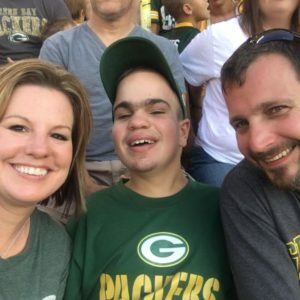 Nine months later, Jeremy and I received news that changed our lives a second time: Jonah has Sanfilippo Type C, a rare disease that is both fatal and incurable. Love Doesn’t falter for your child after a horrific diagnosis. If anything it grows stronger. From that point forward, we understood that every second with our son was precious. We no longer take any family time spent together for granted. From Jonah’s second to the third birthday, we traveled the world, building our patient population and establishing our team of investigators. The science awaits us and our fellow parents have united to fight for a cure. 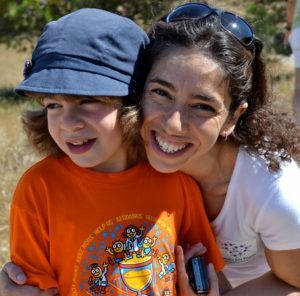 We got Joana’s Sanfilippo Type C diagnosis in August 2010. I don’t know how to describe how we dealt with that. Even today, years later, I can’t describe what hearing that news felt like. Sanfilippo Type C is an insidious disease that is always present. 24 hours a day, every day of the year, it surrounds you. You can’t help it, it’s there all the time. But every time I look at Joana, I believe that she can make it. She’s a smart girl, full of joy, full of life, full of happiness. She needs a bit of help. Our help. The rest she has! All the strength to go on! Now, thanks to the research conducted by JJB’s team of scientist, we have the tools we need to give Joana and all of the kids with Sanfilippo a helping hand. We have the best Sanfilippo investigators collaborating on our behalf to find treatments for our kids. They want to do it- we just need the investor. It’s not an easy mission, but it’s possible. And believing it’s possible requires only that you look at the smiling faces of these kids. For more info please visit our Sanfilippo Portugal page. Five days before our oldest daughter Jillian’s 9th birthday, we found out she had Sanfilippo Syndrome Type C. Shortly after Jillian was diagnosed, her sister Lindsey and Kelsey were too. Until recently not much was being done to find a cure for this disease. However, awareness is increasing and research has begun on a small scale. Our goal is to help raise funds needed to further this awareness and research and ultimately eliminate Sanfilippo Type C.
Levi was born July 11th, 1998. He was a healthy 6lb 7oz bundle of joy. We had no clue at the time that he was sick with a deadly disease. He looked and acted like every other healthy baby. Levi had frequent ear infections, but other than that he was normal. His head was a little larger than most boys his age, so we had an MRI done. The results came back with no explanation. When he was two we noticed a little delay in his speech, but our pediatrician said not to worry, that he would be fine and that we should just give him time. Levi was able to count, write his name, and draw pictures. He was even learning how to read. He learned how to ride a two=wheel bike by age 4. Around 5, doctors said he had ADHD. We dealt with it. Things started to change more for Levi. We had him tested for Autism and several other conditions. Still, we got no answer. At that point, we began feeling helpless, knowing our child was regressing in almost every way, but being unable to get answers as to why it was happening or how to help him. At age 8, he started to show a lot of regression. His speech was really broken up. He had a hard time carrying on a conversation with others, and he was not able to write letters or draw pictures without scribbles. We were at a loss. We had so many false diagnoses for Levi. In November of 2008, our genetic doctors said he wanted to do one more test. That turned out to be the final test. We had to wait three long, miserable months for the results, but February 2009 we found out our little boy had MPS III C, also known as Sanfilippo C. It was the worst day of our lives. We hear this, but numb inside. The doctor tells us there is NO CURE and no treatment. He tells us that children with this disease usually die in their early teens. But we are not giving up hope. We are desperate to find a cure. Levi is full of life. He has a smile that will make your heart melt and a laugh you will never forget. He loves to give BIG hugs and shows a lot of affection. He is such a blessing in our lives. Julia was appointed as Executive Director and Secretary/Treasurer of the Board of Directors in December after serving as the Director of Public & Government Relations since the Foundation’s founding in 2009. 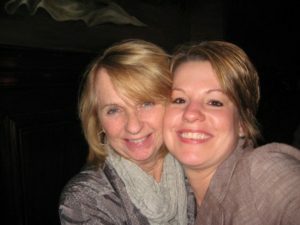 Julia’s background in grassroots organizing, political strategy, and legislative advocacy helped the Foundation unite more than 180 patient organizations under the Cure The Process Campaign to improve the regulatory process for rare disease treatments. She coordinated grassroots advocacy efforts to ensure the inclusion of the “Faster Access to Specialized Therapies” (FAST) Act in the 2012 FDA Safety and Innovation Act (FDASIA). Julia initiated Rare Disease Legislative Advocates to serve as a communication platform for rare disease stakeholders to work on legislative issues and to help elevate the voice of rare disease patients on Capitol Hill. Under Julia’s leadership, RDLA has expanded to host the only Legislative Conference & Lobby Day that invites all rare disease groups to come together on Capitol Hill. RDLA also helped form the Rare Disease Congressional Caucus and works to ensure there are regulator Caucus Briefings held on Capitol Hill. 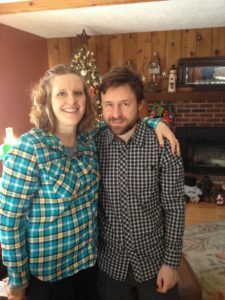 Prior to working at the EveryLife Foundation for Rare Diseases, Julia worked as a Political Communications Consultant with the Lew Edwards Group, creating strategic plans to organize communities to support local funding measures. 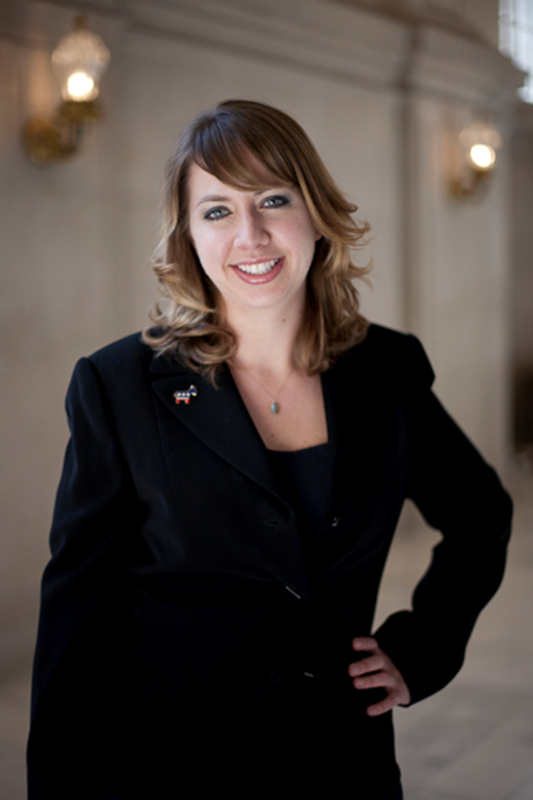 Julia was Legislative Director and registered California State lobbyist for Public Employees Union Local #1. She coordinated all political action at local, state, and federal levels, including efforts to ensure every Californian would have access to affordable quality healthcare. She led efforts for the San Francisco Democratic Party, helping to defeat the anti-labor propositions in the 2005 Special Election and worked for House Minority Leader Nancy Pelosi. Prior to working in politics, Julia was a fundraiser for the Muscular Dystrophy Association. Julia did her Masters work in Political Science at San Francisco State University and her undergraduate work in Communications at St. Mary’s College of California. Penny and Pyare have been indispensable supporters off JJB since formation in 2010. Penny works for herself as an interior designer; Pyare is a cameraman for film and television. Both volunteer their time and resources to JJB. Penny takes advantage of her parent groups and social connections to raise awareness and funds for JJB. As the moderator of her neighborhoods parent list serve, serving over 1,000 Brooklyn families, Penny brings awareness to JJB with blogs and posts. Both Penny and Pyare have volunteered to work or attended all of JJB’s local fundraisers. Pyare has taken the initiative to create his own annual fundraiser benefiting JJB, by leveraging his position as a cameraman and member of local 600, Pyare has been able to build a formidable racing team of NYC’s finest film and television creators.